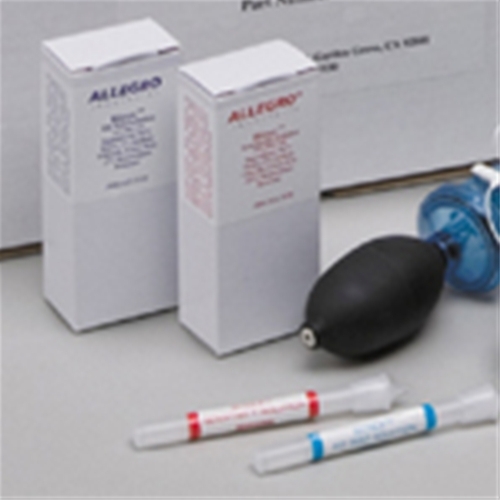 Replacement Bitrex Test Solution is offered in glass ampules with pre-drilled plastic cap for easy pouring. Plastic protects tester from broken glass. Each one time use ampules contains 2.5 cc of solution which averages between 3-5 fit test. Six ampules per box.